All equipment, whether new, serviced or repaired is subject to an extensive factory test under full load conditions by experienced test engineers to ensure compliance and maximum reliability. The concrete test area floor is suitable for high loads and situated on top of a dedicated underground water reservoir of approximately 450 m³, with large diameter water test loop. The large capacity water reservoir enables high power continuous running for prolonged periods without overheating. For testing of vertical turbine pumps a deep well section of 8 m depth is available. For testing of electrical motor driven equipment a 625 kVA diesel generator set is available. 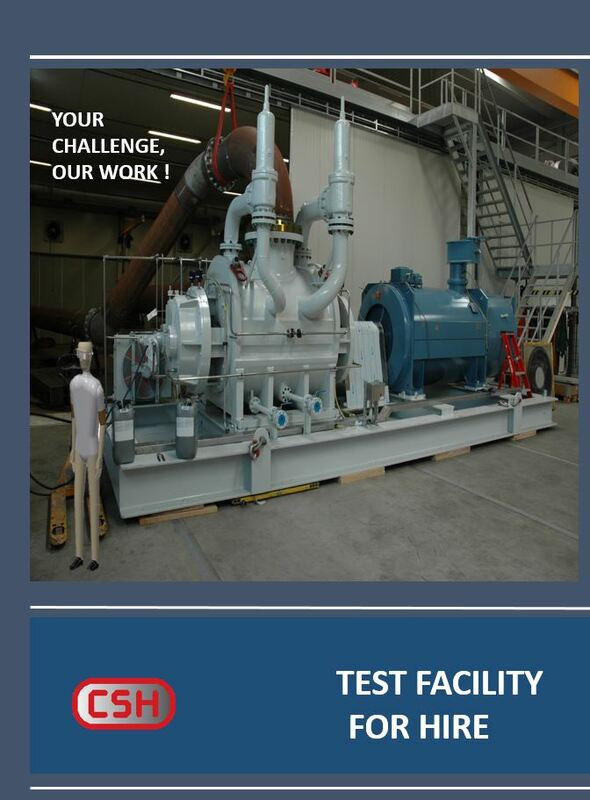 For testing of PTO driven equipment a 500 kW diesel engine is available. We are able to test all equipment in accordance with worldwide International standards. For your convenience we have a private office space available with Wifi connection and a meeting room for reception of your customer, third party inspector etc. If you like to receive more information about the facility please mail us: rpn@compressorsystems.com. The prices will be custom made.